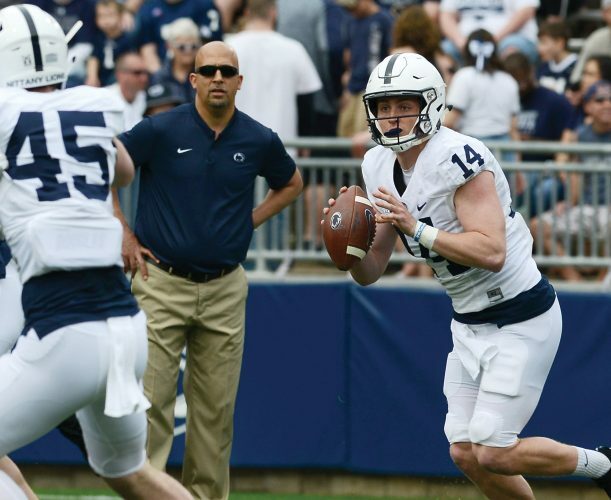 James Franklin says he’s worried about college football and the direction it’s heading with regards to the much-discussed new transfer portal now available to players. “I looked last week, I think at that time there was 1,789 guys in the transfer portal,” Franklin said. “I worry that all those guys are going to find the right spot. So I just worry. I worry who’s advising. I worry about where the information is coming from. I worry that there’s a shift right now to the emphasis being on the NFL and not on college athletics, which is, to me, education first is how I got into this industry. “The funny thing is, Tommy Stevens is really the original transfer portal,” Franklin said. “But to me he did it the way it should have always been done, and I think could still be being done right now. “He came and talked to me. Had some concerns. Wants to start. Was graduating. Had two years left of eligibility. And we kind of said, let’s kind of talk this through together and what are your objectives and all these types of things. That was the case with safety Lamont Wade, who put his name in the transfer portal but eventually was the only PSU player who did so and then decided to stay with the Lions.